Your Shot photographer Aleš K. captured this scene of Lake Braies during the fall. The lake is located in South Tyrol, Italy and gives off a great view of the Dolomites. 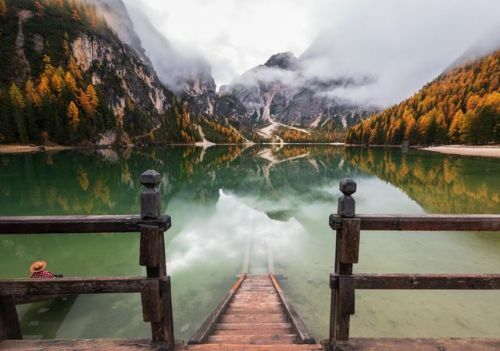 “Lake Braies was pretty dry, but it still offered beautiful autumn reflections on a cloudy day,” writes Aleš. “Autumn larches are just a beautiful sight to observe.” Photograph by Aleš K.